This touches something deep in side of me. 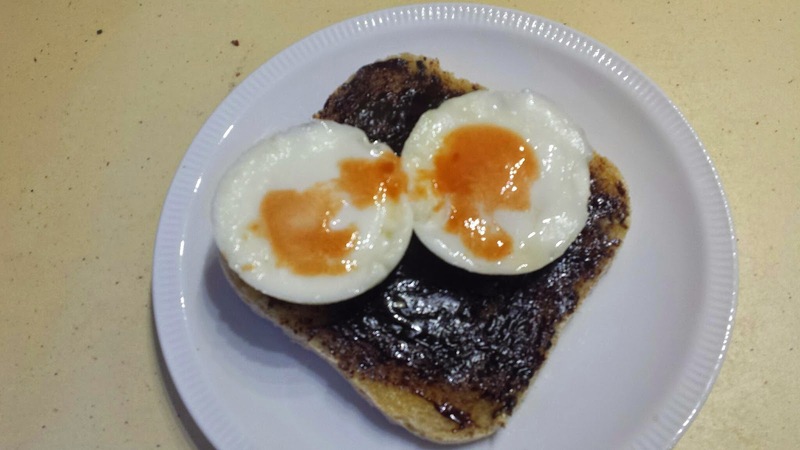 I believed that this was what a poached egg was until in a high school home economics class I was told just just to boil some water and crack an egg into it. No. But yes. I suppose that is poaching. I got a coddled egg kit from mum's estate a few months ago and thanks to my three lovely chooks I have been able to do this on a regular basis. The Tabasco sauce a recent addition.